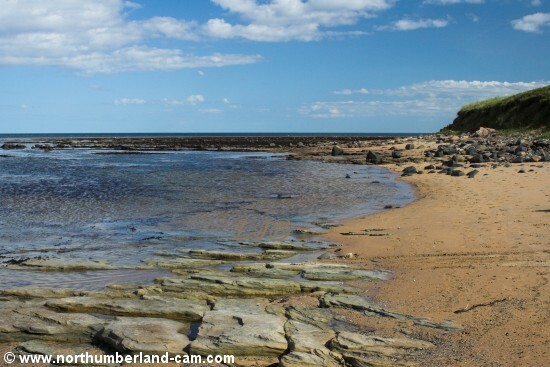 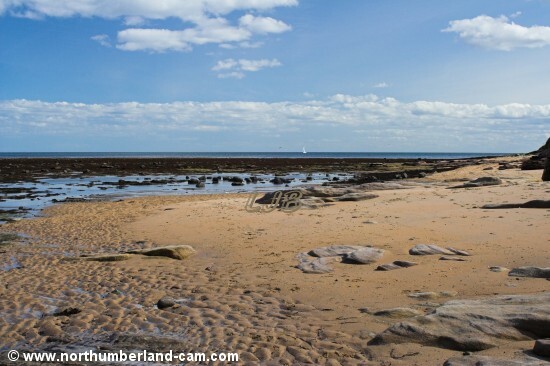 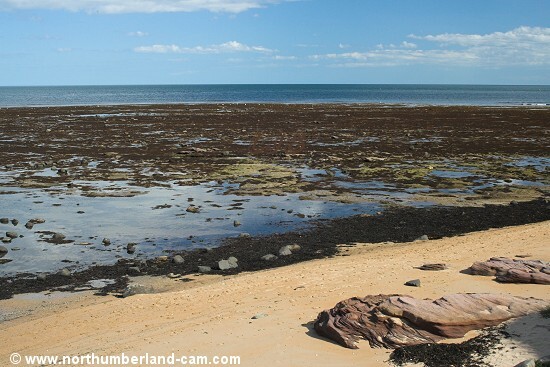 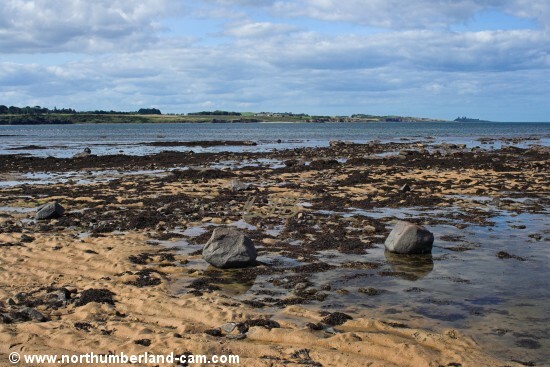 There are small stretches of beach, mostly covered at high tide, above the rocks at Longhoughton Steel, a point just north of Boulmer. 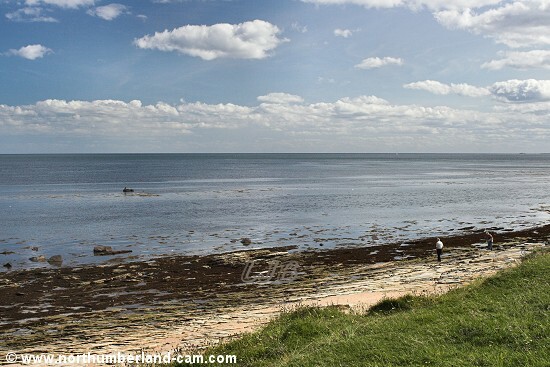 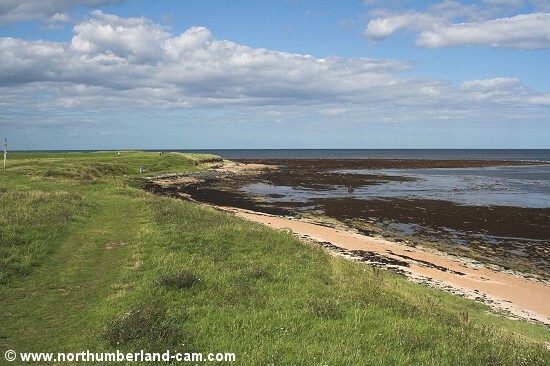 The point is reached by walking along a track from the north end of Boulmer village. 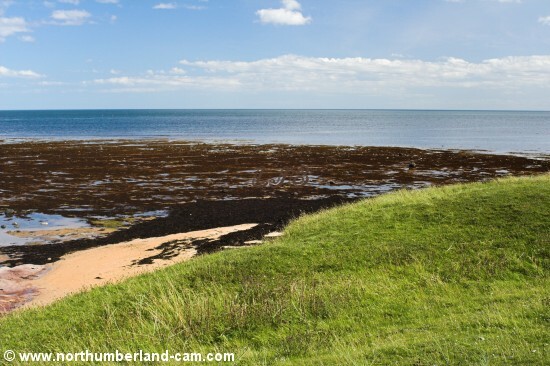 Looking down to the small stretches of beach from the Coastal path near Longhoughton Steel.